I think that we can all agree on one thing. A Savanna is a … just kidding not going there. The moment we were all introduced to aggressive rollerblading and how it continues to impact our life as well as those around us is a memory that will never fade. We may have gotten side tracked at some point with life, but eventfully it comes full circle and you end up back on skates. In my opinion, rollerblading never died, we all just got married, had kids and tried our hardest to give our little ones what we never had. For many of us skating was never a sport, but a life style and in life you take care of your family. Blood will always be thicker than water. My journey into rollerblading started in 1992 with a pair of TRS Lightings, jumping right into the aggressive skating world just as many of you did. The 90’s were an exciting time for aggressive rollerblading as we were introduced to Videogrove, Daily Bread, and many other sources of media allowing us to see what others were doing on the other side of the world. We fine-tuned our art and ventured into local contests, which lead to NISS, ASA and the Xgames. For me the year was 2003. I was no longer a young buck that could take the hard falls we all took daily. I was finishing school and starting adulthood. There was a girl and I liked her. This is the time in our life that we reevaluate our childhood and start to think on a bigger scale. Wife, kids, house, job and so on. How could you not want to give your kids a better life than you had? While my love for rollerblading never died the amount of time they remained on my feet did until the kids were old enough to get their first pair of skates and start their journey, just as we all did many years ago. The difference is that our children can benefit from the knowledge we gained and the mistakes we made. Rollerblading is supposed to be fun. Their starting point does not have to be what ours was. Teach them the fundamentals right off the start and the importance of learning things both ways. One year into my kids skating journey and many trips to the skating rinks, skateparks and anything else we could roll on. We found speed skating and the world of big wheels. While I was not trading in top souls and kindgrinds for crossovers and underpushes, I was expanding my knowledge and love for rollerblading. The transition from aggressive to speed has forced me to have to relearn most of what I knew about skating since it is completely different, but there is light at the end of the tunnel. Having the experience of all those years on skates gives you a pretty hefty head start over other skaters. I am currently skating for Olympic Speed Club in the Masters Division and will be discussing how to make the transition from Aggressive to Speed. Frames are typically made of aircraft-quality aluminum, magnesium and carbon fiber, which allow for many options such as weight, stiffness and sizes. Unlike an aggressive frame being UFS mount a common speed frame is 165 or 195 mount, which allows for longer frames that can support bigger wheels. Most high-level speed skaters will be on a 4x110mm or 3x125mm set up with the frame lengths being 12.8” to 13.3”. 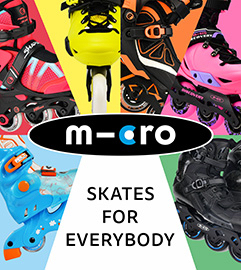 Frames on speed skates can also be adjusted forward, back, left and right to maximize push and technique. In aggressive skating, you master a pump, but in speed skating it’s more about the push and its technique. Minus the size, wheels are probably the closest to its aggressive sibling. Outdoor skaters typically use something in the range of 85a-87a while indoor is common to ride 91a-93a. You have many profiles and materials to choose from to maximize performance with floor and ground conditions varying. Speedskaters move their feet across the center leading to what is called a double push. This technique allows for 2 pushes for every stroke. At first this can be very tiring due to poor technique, but with proper execution it is not only faster, but an energy saver. Another key is low posture and driving your heals forward. This will not only give you longer strides it will create more power and provide an aerodynamic advantage. Turning can be a challenge with the longer frames, but the low posture will help prevent clipping your wheels during cross overs. The speed comes from your underpush. 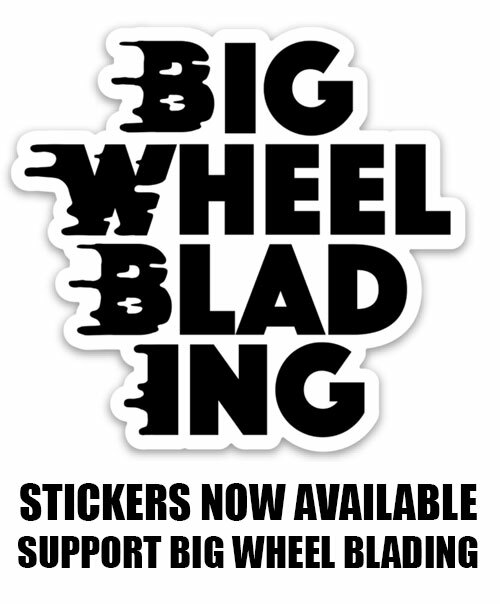 This can be difficult for aggressive skaters because it’s a different concept then pumping. You are a skater, so get out there and just skate. You can also check with your local rinks. Many of them have speed teams. The USARS site is also a great place to find information.